"Adieu July. You have been a month of surprise, calm, and lessons. Thank you for being 31 days of monthdom." I got my heart damaged (but NEVER broken). I came to some realizations about career. I started thinking about stability and how to bring that to fruition. I reveled in being the Cancerian that I am. A cardinal (creative and original) sign, Cancer governs home life, matters to do with women (especially the mother), as well as sensitivity and emotional intensity. It is a water sign, so Cancerian people are emotionally intense and deeper than they appear on the surface, while quite sensitive and understanding once you get through that tough exterior. The Sun, ruler of our inner nature, is somewhat dimmed in Cancer, the home of the Moon. Creative and romantic, with a strong love of home, family and tradition, you are a good communicator and a strong provider. Your deep sensitivity presents you with valuable and illuminating intuitions, especially regarding those you care for. Paradoxically combining a love of travel with a deep need for security, you surround yourself with sentimental objects from the past, including souvenirs, hand-me-downs and keepsakes. Cancerians are remarkably good at accumulating things; indeed, you can be unwilling to throw anything out, even relationships that have passed their use-by date. Cancer is also good with money and generally takes a long-term view. The main thing to remember is not to let the powerful, turbulent emotions of the moment crowd out your normally rational judgement. Your intuitions are reliable and should be trusted; you may even have natural psychic powers, which may be developed, given the right circumstances. The emblem for Cancer is the Crab, a creature with a very hard shell which protects a soft interior. 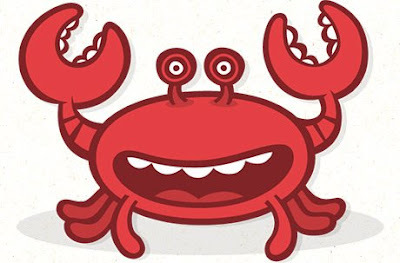 The crab walks sideways, which is how the Cancerian skirts around a problem until forced to take it on with gritty determination and a creative flair. The crab's large claws hang on to its possessions for dear life, just as the Cancerian collects things to beautify the environment and bravely defends the home turf. Cancerians make good business people, combining artistry, originality and drive with an understanding of financial matters, marketing and the needs of the public. You can trust your intuitions, but you do need to generate a faith in yourself which will not be dampened by gloom or depression over what, in retrospect, may appear to be relatively insignificant problems. You have the natural ability to be diplomatic and to speak out when necessary or keep your mouth shut. Home and family ties will be significant in your life and developing a secure, comfortable home environment will be a boon to your state of mind, irrespective of your marital state.